Choreographers Alex Whitley, Paolo Mangiola and Robert Binet. © respectively ROH, ROH, Kiran West. It’s now 20 years since Random Dance was founded by Wayne McGregor, and for lovers of the company’s innovative corporeal aesthetic, its never been easier to see their highly influential style. By any standard this has been a busy year for the company’s artistic director – in the last six months alone, there’s been the Big Dance 2012 mass performance in Trafalgar Square, danced by 2,000 amateur performers, new work Carbon Life and a revival of Infra for the Royal Ballet where McGregor is Resident Choreographer, a tour of 2010’s FAR and an installation in the Barbican’s Rain Room for Random, and this week a triple bill at the Linbury Studio celebrating the company’s 20th anniversary and McGregor’s own first Linbury programme in 2002. It’s a significant event – instead of celebrating with his own work he, and the Royal Opera House, are putting on new works by emerging choreographers, investing in them in the same way as he was invested in by others all those years ago. © and by kind permission of the Royal Opera House. 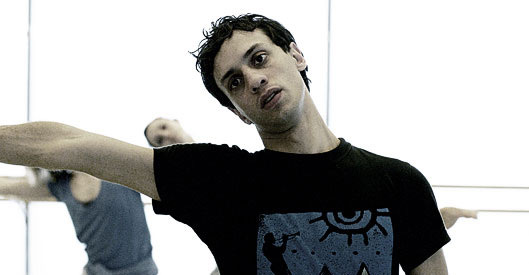 At Rambert Whitley worked with a wide range of artists including Rafael Bonachela, Christopher Bruce, Siobhan Davies and Mark Baldwin; he also created his own works for the company’s annual Season of New Choreography between 2005 and 2009. “Rambert was a great place to learn a lot about how to dance differently and at the same time understand more about what the ideas were behind the different dance styles and techniques,” says Whitley . 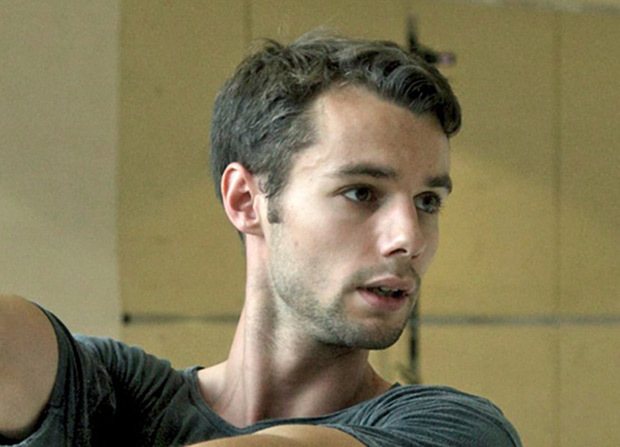 “It’s that that’s really excited and interested me about dance, especially in my own work: learning what dance is and how it can be thought of and considered and communicate with audiences.” And, looking to absorb more of the new, he joined Random Dance in 2010 and is also now a Royal Ballet Affiliate Choreographer and a New Wave Associate at Sadler’s Wells. Alex Whitley, at work in the studio with Random dancers on Hertz. 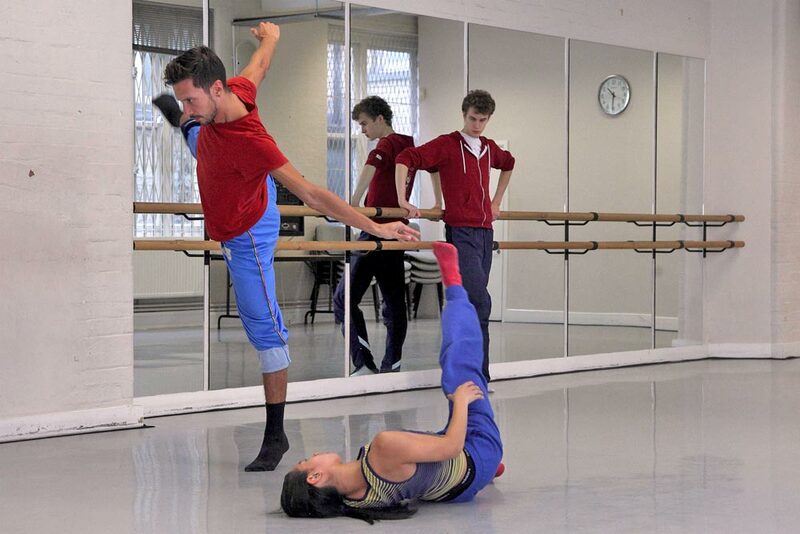 Unlike the other two choreographers in the programme, Whitley is working with his own Random colleagues for this piece. “I know my colleagues well and have a pretty good relationship with them, and we had a common departure point through working with Wayne, so starting the dialogue was easier than it might have been with people I haven’t worked with before. The challenge is switching between the role of being a colleague and being a choreographer and director of the work – it’s not always an easy boundary to navigate,” says Whitley, who nevertheless enjoyed the process of working with people he usually shares a stage with. Mangiola created the piece with Royal Ballet principal Edward Watson and soloists Eric Underwood and Paul Kay. “I chose the dancers because each of them is extremely different with different qualities,” he explains. 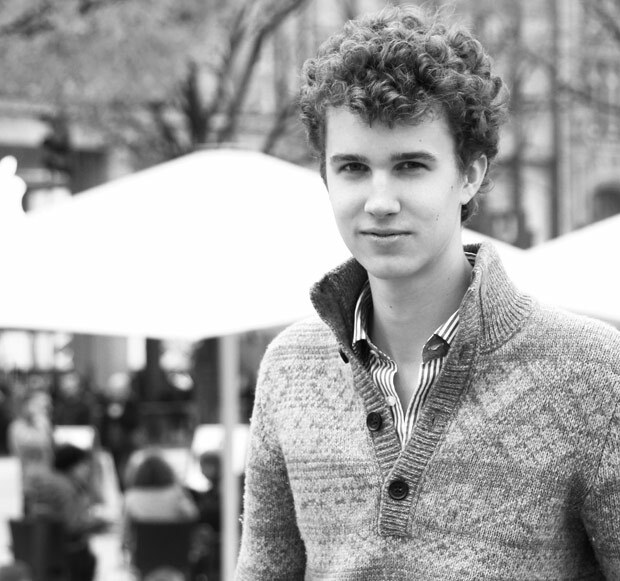 “So then in the studio I wanted to explore the specificity of these qualities – Edward has this amazing facility with the body and yet this beautiful adagio quality, so I thought how can I use that and translate it into the piece? And I did that also with Eric and Paul.” Alpha Episodes is structured as three solos and a trio for the men, and set to music Swedish composer, Dag Rosenqvist, and text by Virginia Woolf. © Kiran West, by kind permission of the Royal Opera House. Robert Binet, at work in the studio with Random dancers on Life’s Witness. Alex Whitley agrees: “It’s an amazing opportunity to have that support and fantastic resources to develop my work to really see me through the transition of my career as a performer to my career as a choreographer“. Whitley’s residency at the Opera House will culminate in an evening of work presented at the Linbury in April 2014, which will include performances by the Royal Ballet and by Whitley’s own company of dancers. Mangiola is also planning to move into full-time choreographic work from February next year, with work in London and Milan.